Are you looking for a delicious vegetables recipe with a difference? If you are, you’ve found it! 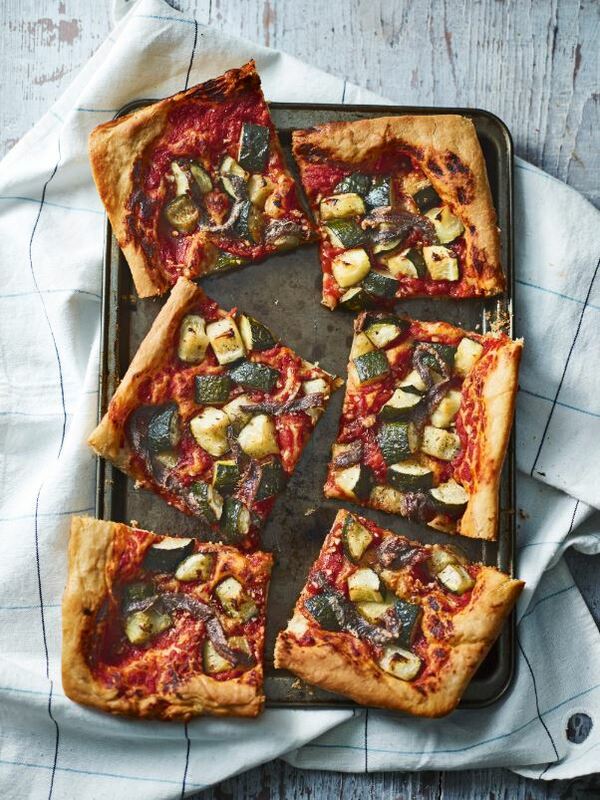 Here’s my pizza tray with anchovies, courgettes, garlic & chilli for you to enjoy. 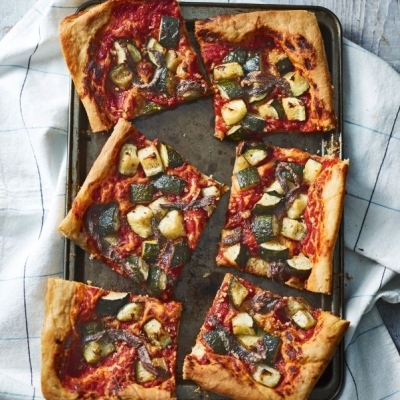 Feast your eyes on the finest pizza tray with anchovies, courgettes, garlic & chilli! It’s straightforward and fun to make this great dish. Simply follow the instructions below and get the perfect result. Put the flour in a large bowl. Add the yeast to one side of the bowl and the salt to the other. Make a well in the centre and add the oil then gradually pour in 140ml warm water. Using the handle of a wooden spoon, mix together thoroughly to create a wet dough. Turn out the dough onto a well-floured surface and knead for about 5 minutes or until smooth and elastic. Shape the dough into a round and place in a large oiled bowl. Brush the top with a little oil and cover with cling film. Leave to rest at room temperature for 20–25 minutes. Meanwhile, make the topping. Heat 4 tablespoons of the oil in a medium pan over a medium heat. Add the courgettes, season with salt and fry for 12 minutes, stirring occasionally. Leave to cool. Put the tomatoes in a small bowl with the remaining 2 tablespoons of the oil, the salt and the chilli flakes. Using your hands (you may want to use gloves to protect your hands and eyes from the chilli), squeeze the tomatoes to create a fine pulp. Set aside. Turn out the dough onto a lightly floured surface and knead just 3 or 4 times to knock out the air. Transfer to an oiled traybake tin, about 25 x 23cm and at least 2cm high. Using your fingertips, gently flatten the dough to extend to the sides (it should be about 1cm thick). Brush over a little oil, cover with a tea towel and leave to rise again in a warm place for a further 20 minutes. Preheat the oven to 220ºC/gas mark 7. Remove the tea towel and spread the tomato mixture evenly over the pizza base, leaving a 1cm border clear. Scatter over the garlic and cooled courgettes and lay the anchovies on top. Bake for 12–14 minutes or until golden brown. Remove from the oven, sprinkle over the oregano and bake for 1 further minute. 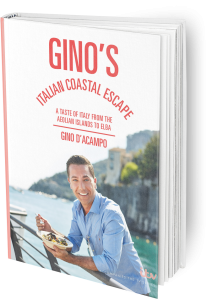 Once you’re done, simply sit back and enjoy your pizza tray with anchovies, courgettes, garlic & chilli and don’t forget to check out other great authentic Italian recipes including great antipasti recipes, Italian pasta recipes, Italian soup recipes, Italian beef dishes and authentic pizza recipes.